I say a winter in Barcelona; it was more of a week but in the winter period. A few years ago three friends and I found some cheap flights to Barcelona just before Christmas day, and jumped at the chance to have a cheap Christmas getaway. 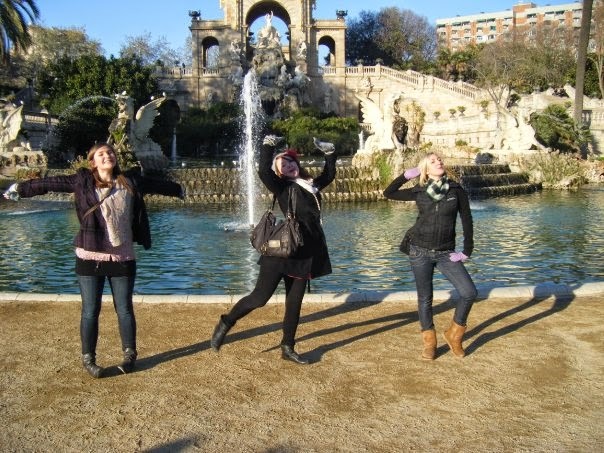 Being students at the time, we didn't have loads of money but we still managed to enjoy Barcelona and what this great Catalan city has to offer. As we were on a budget, I like to say we were travelling ‘backpacker’ style. However, we didn't stay in a hostel and I did in fact bring a suitcase with me. My friend found some kind of apartment which was in the heart of the city and was very beautiful. It was run by a local man who lived a few floors down, and we got access to a bedroom with two double beds, a kitchen, a lounge and a huge bathroom. Our accommodation was just off the main tourist street in Barcelona, the Ramblas, which houses shops, bars, tourist statues of men standing still all day and crappy souvenirs. The street is worth walking down even if you aren't staying in the centre. However, don’t expect any cheap drinks in these bars. 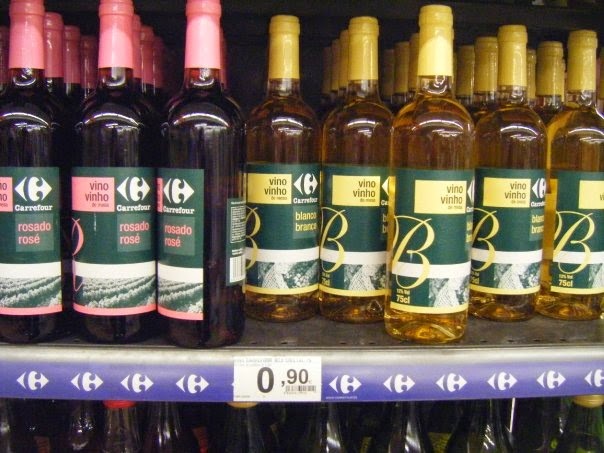 Rather, head to the Carrefour supermarket and be classy with a €1 bottle of wine. 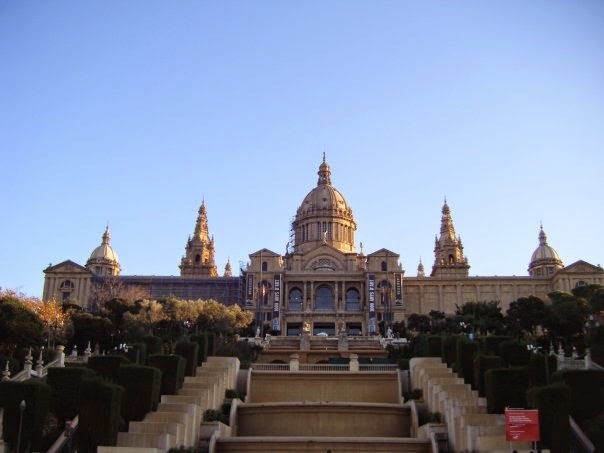 There are the typical sights in Barcelona, which are on the ‘must-see’ lists and are recommended by most travel books. 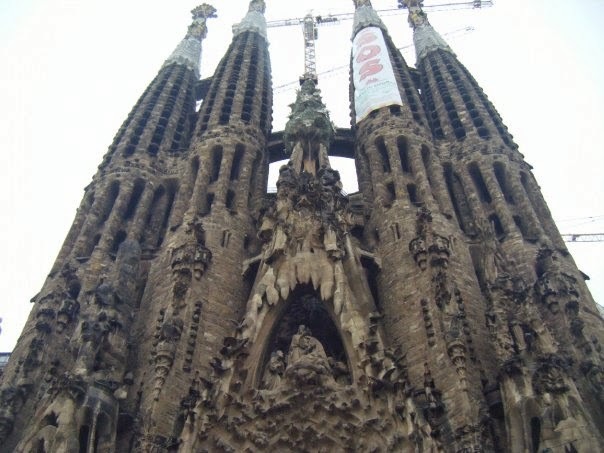 Firstly, the historic La Sagrada Familia. A very impressive sight, but also an uncompleted one. Despite this, I found the sight more impressive unfinished as it provided you with a once in a lifetime chance to watch the artists and architects in their natural habitat, building this impressive religious building. However, if you’re looking for a completed piece then you’ll have to wait until 2026. There are many other sights in the city that may be of more cultural interest to you such as the Casa Battlo and the La Pedrera, which mimic the same type of unique architecture in Park Güell. If you’re an art lover then head to the Picasso museum or the Dali museum, both of which are very central. 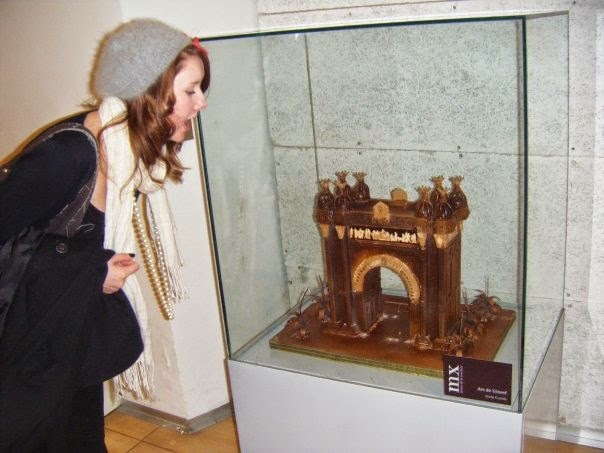 If you're a fatty like me then stop off at the Museu de la Xocolata, which is a small chocolate museum/factory. If you’re lucky enough to be visiting Barcelona during the summer months you can check out the beach which is within walking distance from the Ramblas. For good food and drink head to the Placa Reil. I don’t really know of any other food or drink places as my visit was done on a student budget, so Carrefour wine it was for me. However, the city offers many cafes with lunch deals of a few set courses for 10€. Barcelona is a great city and a must visit if touring through Europe. Certainly not a cheap place but my winter in Barcelona was beautiful and worth the money we paid. Maybe try the trip at Christmas, face the bitter cold and enjoy the joys of the Christmas markets in this very cultural backpacker city.